Kim’s dream was to work with animals for as long as she can remember and she grew up with a plethora of pets ranging from many dogs to chickens and goats, a horse, plenty of small animals, and even a couple of tarantulas. Her first job as a teenager was at a pet supply store and she hasn’t left the pet industry since, holding multiple positions at pet supply stores, dog daycares, and working for dog trainers. In 2005 she graduated from The University of New Hampshire with a bachelor’s degree in Zoology and a minor in Animal Behavior and Psychology. As a college graduation gift, Kim got Elsa, a sable Collie who inspired her to learn more about dog behavior and training. Wanting to run her own business and thirsty for more knowledge, in 2006 she earned a Graduate Certificate in Entrepreneurship from Boston University. At the same time, she learned much of what she knows about dogs by competing in AKC Obedience and Rally-Obedience and earning many blue ribbons and titles with Elsa. She received a certificate of completion from Gail Fisher’s All Dogs Academy Instructor Training School and All Dogs Academy Dog Training School. She’s also an AKC Canine Good Citizen Evaluator and attends as many dog training seminars and classes as she can possibly fit into her schedule. She also trains for and competes in a number of dog sports including Obedience, Agility, Rally-Obedience, and Scent Work. During her free time Kim likes to escape to the woods to hike with and photograph her four dogs; Reese and Lincoln her Collies, Walt a miniature poodle, and Lady a golden retriever. She is also a novice beekeeper and raises chickens. And despite Elsa’s passing in 2017, Kim will forever carry the knowledge she gained from her and the inspiration to improve herself as a dog owner and trainer. Chris grew up on a lake and always had an interest in wildlife, animals and dogs. Most of his pets were all incased in a glass salt-water reef tank, where he maintained and propagated a large number of corals and tropical fish. His childhood household had one dog, a Chihuahua named Lily who bared a striking resemblance to the Taco Bell dog. And little did he know when he married Kim that his entire life would revolve around dogs, and lots of them! 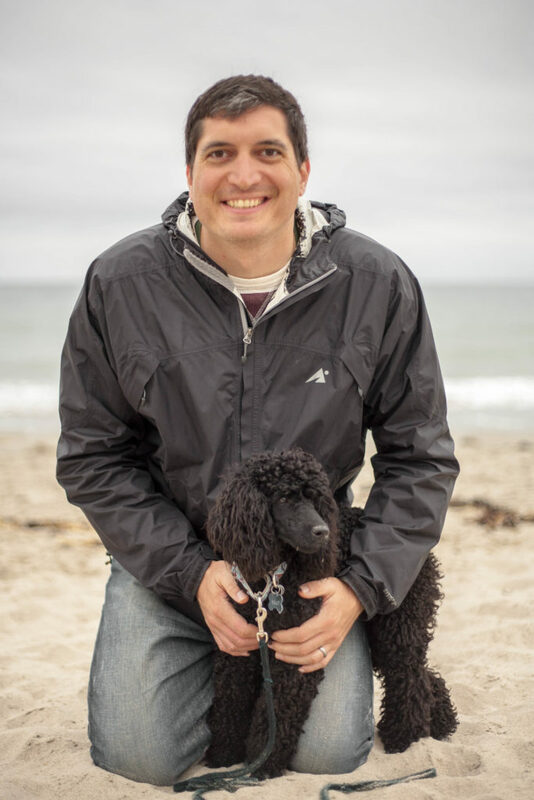 Chris received his Bachelor’s Degree in Business Management from the University of Massachusetts, Boston and has over ten years of professional experience in sales and management in the corporate world. From the start he has supported and helped with the early growth of BlueDog. But as 2012 kicked off and BlueDog had grown to the point where Kim needed her business partner full-time, he took the leap and quit his job as an IT recruiting manager and joined the BlueDog management team. He hasn’t looked back and loves the job of running the family business with Kim. 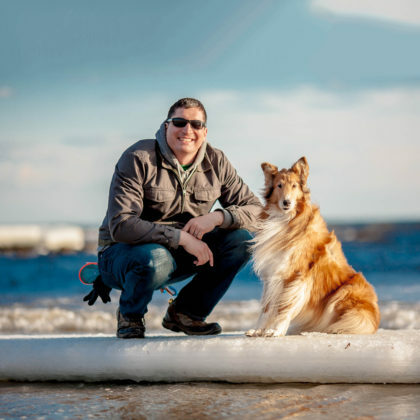 When Chris is not working on the business, he volunteers and serves on the board of directors as Vice President of The North Andover Merchants Association. He enjoys expanding his knowledge about dogs by attending training seminars and of occasionally taking classes with his dogs. During his free time he enjoys beekeeping, gardening and woodworking. 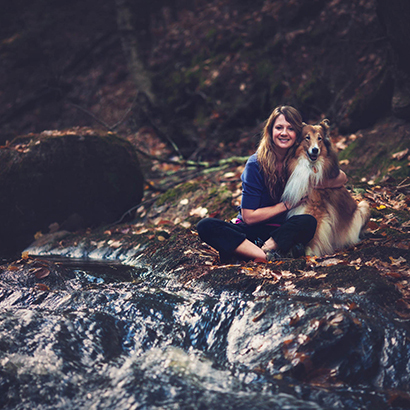 In 2008, Kim quit her full-time job to pursue her passion to work with dogs. 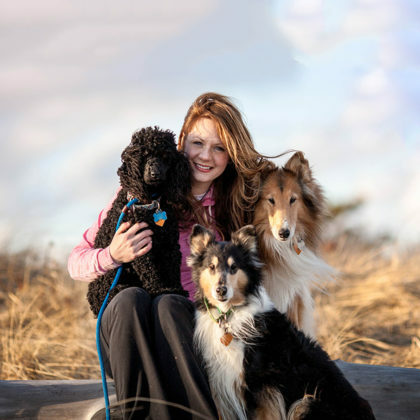 By starting her own business to help dogs, she felt the need to name the business in honor of the dog who started it all, her very first Collie, Maggie. When Kim was 6 years old and with a broken heart after her little pet guinea pig Popcorn had just passed away, her mom took her to a breeder where she got to pick out her very own puppy. 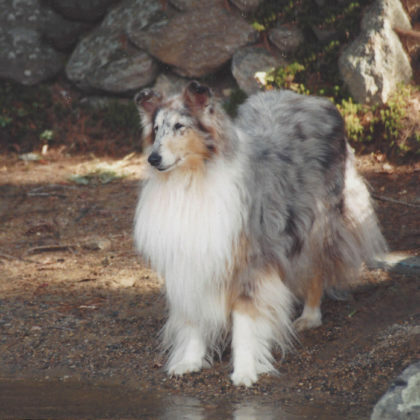 Kim immediately fell in love with a small blue-merle Collie, whom she named Maggie. They became fast friends and enjoyed the many adventures that only a child and her dog can experience together. The next 11 years Maggie stood by Kim’s side as she went through elementary school, middle school and high school. It was her senior year of high school that Kim experienced the complete heartbreak of losing a dog, but not without the many memories to carry with her for the rest of her life. 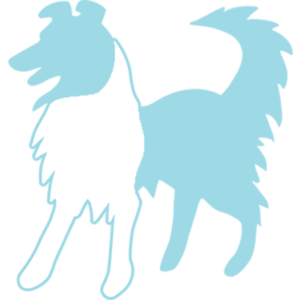 So with much love, Kim named her business BlueDog and designed the logo herself in honor of her blue-merle Collie, Maggie.